May’s claim is surreal, because the Conservative Party continues to be primarily the party that represents wealthier people and opposes strongly redistributive taxation. May herself does not claim to be an egalitarian. She presents herself as the defender of ordinary working people, just managing families, those living in neglected regions, etc., without challenging the overall framework of inequality within which the problems of these variously categorized groups is defined. She also plans to use Brexit to achieve a ‘Singapore’ status for the UK. Singapore – apart from being barely democratic - is a tax haven that provides very little public social policy for its citizens. A similar stance is adopted by the United Kingdom Independence Party (UKIP). UKIP, like May, insists that it represents the ordinary working people who have been ignored and spurned by the elite. But it believes in lower taxation for the wealthy (and presumably therefore reduced social policy and public infrastructure spending), and (again like May) the revival of grammar schools, which notably reduce the educational chances of children from lower and middle-income families. Much the same can be said for Donald Trump. He speaks passionately about the neglected working class, who have suffered at the hands of an elite; but his policies include cutting taxes for the rich and deregulating the financial markets, the behaviour of the operators in which were among the main causes of the discontents of many US workers. 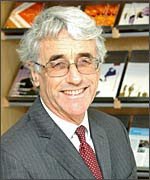 You can read Colin Crouch's article 'Neoliberalism, Nationalism and the Decline of Political Traditions' here.